The food you eat can massively impact the way your body functions – in particular the way your hormones maintain health. For many years, scientists have understood the value of healthy bacteria in the gut on overall health and wellness. It helps to maintain your immune system and reduce gastrointestinal illness. Recent research suggests that probiotics might even help boost your T levels. 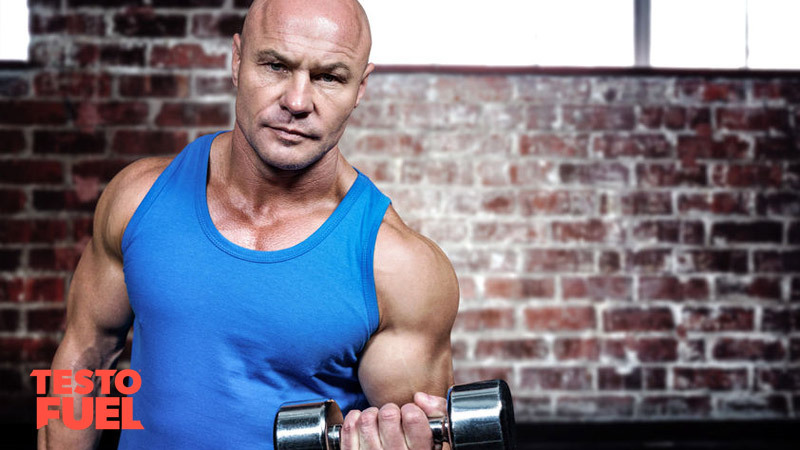 In this article we’ll take a look at the research and see how you can optimize testosterone with this food. 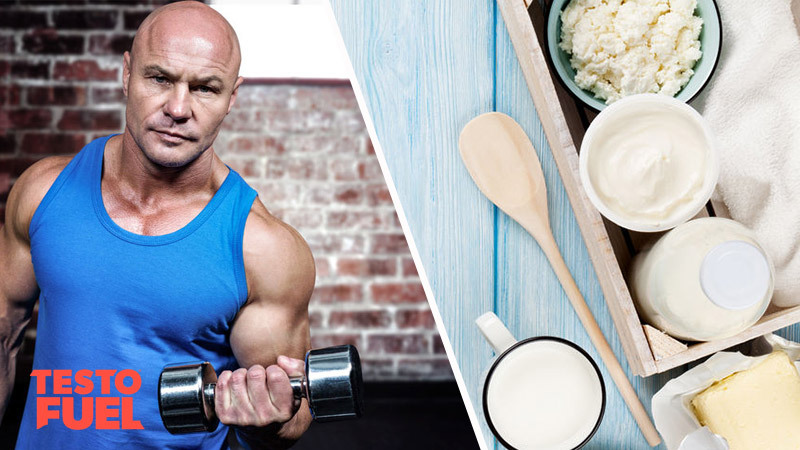 Could probiotics boost testosterone levels? Probiotics are a type of bacteria that line your digestive tract. Their specific role is to maintain gut health by promoting healthy gut flora – it supports your body in its ability to fight gut infections but also absorb nutrients from food. It is often reported as being ‘good’ or ‘friendly’ bacteria. Not all bacteria is beneficial to the body though. Probiotics help to protect from bad bacteria and illnesses such as irritable bowel syndrome, infectious diarrhea and inflammatory bowel disease. They also benefit other areas of the body such as the skin, urinary tract and oral health. 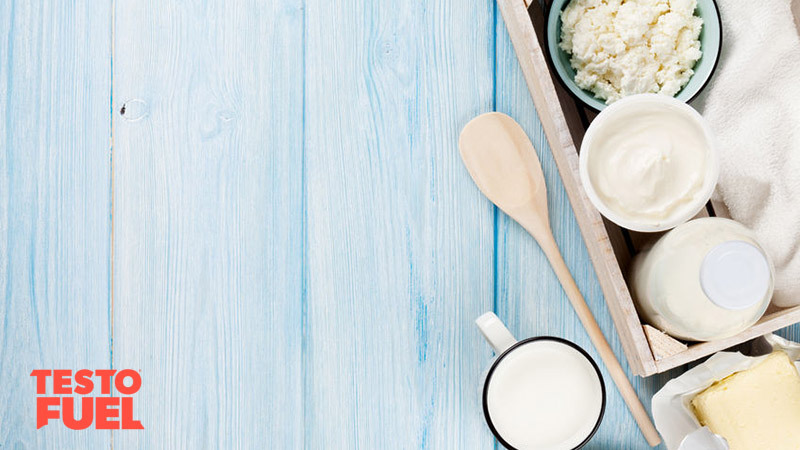 You’ll find probiotics naturally in foods such as yogurt, raw cheese and fermented pickles. They are also present in sauerkraut – sliced cabbage that has been fermented with lactic acid bacteria. It can also be found in dark chocolate and a type of fermented tea called Kombucha. Many of these foods go through a fermentation process which involves the conversion of sugars into other compounds such as lactic acid. This results in increased bacteria . There are a number of strains of healthy bacteria but the most well known include bifidobacterium bifidum and different types of lactobacillia. Key Point: Probiotics a type of bacteria that help to maintain gut health and support your immune system. Probiotics help to support your hormones. Studies show that this friendly bacteria can also support your testosterone levels. A study published in PLoS ONE  found that when rats routinely consumed purified lactic acid from probiotic milk (lactobacillus reuteri), their testosterone levels increased. Not only that, the size and weight of their testes increased, their sperm quality improved, and they became more socially dominating. The results were so good that the rats showed almost ‘anti-ageing’ qualities in their reproductive systems. Although this was an animal study, it is worth noting that humans share similar reproductive systems so results are usually reliable and comparable. Probiotics have also been found to help reduce cortisol – the stress hormone that can destroy testosterone if levels become too high. In one study  lactobacillus rhamnosus, usually found in dairy products such as yogurt, was given to a group of rats. After a few weeks they were presented with a physical stressor and had their cortisol levels measured. To cut a long-story short, the healthy bacteria was found to stimulate levels of a brain transmitter called GABA which kept the mice calm and blunted the cortisol effect. Another group of rats which were presented with the same stressor but had not been given l. rhamnosus had no such luck. Key Point: Probiotics has been found to boost testosterone levels as well as increase the size and function of the testes. It has also been shown to reduce cortisol levels. Your gut is full of probiotic bacteria. Dependent upon your diet and lifestyle, levels can quickly decrease – this means you need a regular top up to maximize your health, your immune system, and testosterone production. Focusing on friendly bacteria-containing foods in the diet will help to boost your gut health.When choosing these foods you should look for the types of bacteria included on the label, or look for the term ‘live cultures’. The most popular type of bacteria friendly food is yogurt. Conventional yogurt may also contain sugar though which can counteract the active ingredients so you need to check the ingredients clearly. It is important to eat only sugar free or organic varieties. Where possible you should aim to include fermented food sources in your diet such as sauerkraut or fermented pickles. This provides not only a decent amount of healthy bacteria, but the fermenting process can also make the foods more nutritious. A study by Scheers  reported that fermenting vegetables led to better iron bio-availability, and another study found that the fermentation process improved the bio-availability in red cabbage of anthocyanins – a type of antioxidant important in maintaining health . Make sure you get your probiotics from food and not supplements. This ensures you’ll get a bunch of other vitamins and minerals too. Many of these supplements are expensive and don’t necessarily work. Additionally, some have been found to be mislabeled, have markedly lower bacteria levels and have ingredients that haven’t been quality assured . Probiotics are a type of bacteria that maintain gut flora and health. They fight against infection and help to absorb nutrients from food. This naturally occurring, healthy bacteria can be found in a range of foods such as yogurt, sauerkraut and raw cheese. Many of these foods go through a fermentation process to increase the live culture content of the food – this can also help to improve its overall nutrition profile. Studies have shown that probiotics can increase testosterone and improve both the size and the function of the testes. Not only that, they can also help to decrease cortisol levels. We suggest that you aim to obtain your healthy bacteria from whole foods that provide other health benefits too. Many fermented foods offer other nutrients meaning that they can fit into most health-based diets.